[PDF] How To: Build Your Own Website. The Quick And Easy Way | Free eBooks Download - EBOOKEE! Description: Ever found yourself wanting to build a website but don't know how or thought it would be too expensive? How To: Build Your Own Website. The Quick And Easy Way is a short and concise ebook instructing you on how you can build your own website without all the usual hassle and expense. The book includes step-by-step instructions and images to show you how to set up a good-looking and customisable site. This book is perfect for complete novices as well as the tech-savvy, as it explains everything in a very simple and easy to understand way. 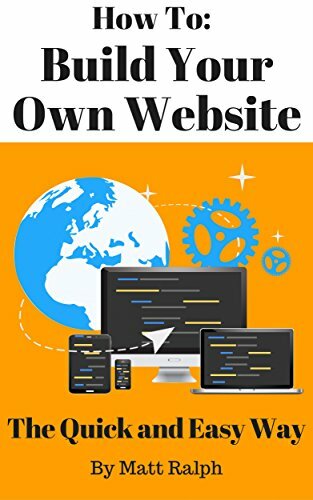 Stop thinking and start building a website today using How To: Build Your Own Website. The Quick And Easy Way. No comments for "[PDF] How To: Build Your Own Website. The Quick And Easy Way".